The suspended general secretary of the National Democratic Congress (NDC), Dr Nii Armah Josiah Aryeh, has broken his silence after his suspension over the alleged bribery saga and his flirtation with the new patriotic party (NPP), by stating categorically that he was set up. He said his detractors set him up in order to expose him to public ridicule and tarnish his image. In an interview in Accra on Monday, Dr. Aryeh said he suspected the involvement of the state apparatus in the scheme by the NPP to frame him up as a dishonest person. “ I have denied all the allegations made against me by some agents for the NPP, including the claim that I had received some money as an inducement to defect form the NDC to the ruling NPP”, he said, looking very worried. He was particularly concerned about the penchant by a section of the media and the public to defame others, forgetting that everybody has rights. During the run-up to the December 7, 2004 elections, Dr. Aryeh was alleged to have met some NPP members, led by Mr Stephen Ntim, the fist vice chairman of the NPP, in the house of Nii Owoo at East Legon in Accra. Here he complained about the goings-on in the NDC and expressed the desire to defect. Dr. Aryeh said when he went to Mr Owoo's house; he discussed his problems with him because he was someone he was familiar with. It is alleged that Dr. Aryeh gave some conditions to defect after which Mr Ntim gave him $3,000 to address certain personal financial difficulties. The NDC, alarmed at the development, set up a three-member committee, headed by Mr Alban Bagbin, the minority leader, and based on the committee's interim report, the functional executive committee of the party decided to suspend Dr. Aryeh on December 21 last year. Dr. Aryeh said he found it strange that although the NPP members had alleged that he had demanded bribe to defect to the party, they were unable to report his conduct to the police for action to be taken against him. “As a lawyer, I know bribery to be a crime and I expect that the best thing for the NPP to do, particularly as the ruling party, was to have reported my conduct to the police,” he said. 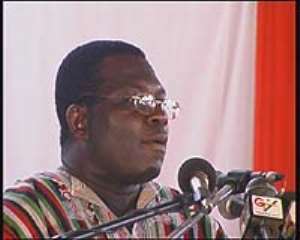 He submitted that for the NPP to prove the case of bribery against him, the most prudent thing they should have done was to take the serial numbers of the bribe money, saying “to tarnish my reputation, they set up the bribery scandal”. Asked why he had decided to maintain a low profile since his alleged dealings with the NPP, he needed to reflect on those events and decried the attempt by a section of the media to demonise people on mere allegations. Dr. Aryeh discounted claims that he ran away from Ghana to avoid media and public scrutiny, saying that he did not need permission from the public to travel.